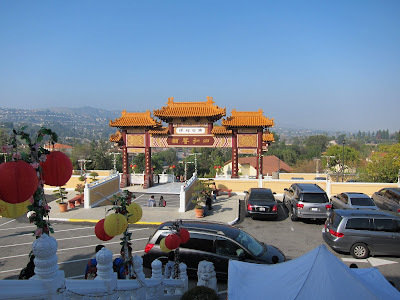 I went to the world famous Hsi Lai Temple today... what a fantastic view. 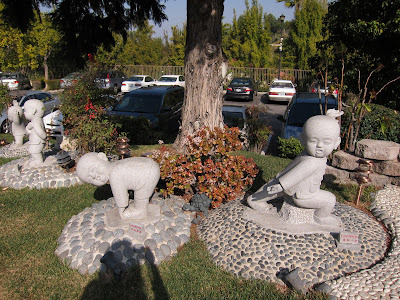 Cute baby monk sculptures in the garden... they are doing stretching exercises. It seems they try to encourage people to take care of their physical well being as well as spiritual well being. 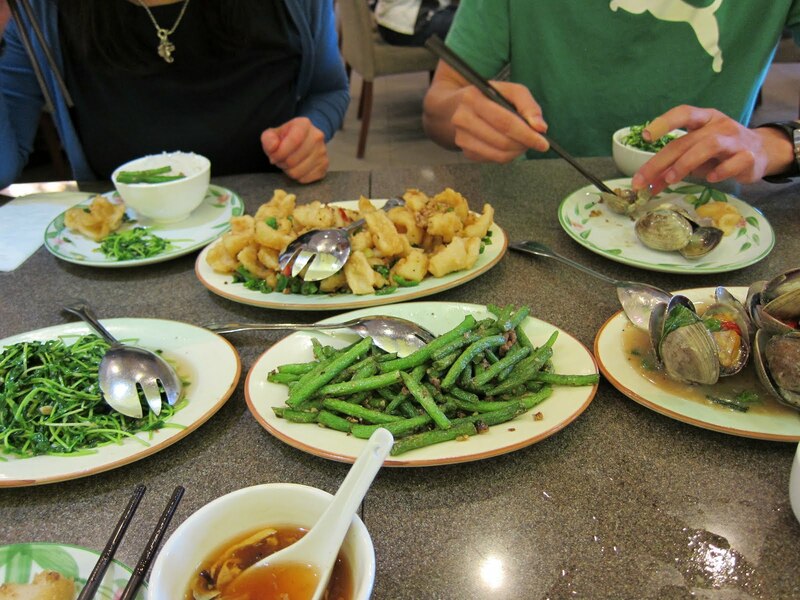 After visiting the Temple, we went to Newport Seafood Restaurant for lunch, yummy clams! But C hoarded almost all of them! Hmph. See pic for evidence. Ok not that many on his plate yet, but he ate like 80%. L mentioned that C had numerous fruit bearing trees in his backyard... so after lunch, we decided to be peasants for an afternoon and picked a ton of fruits! 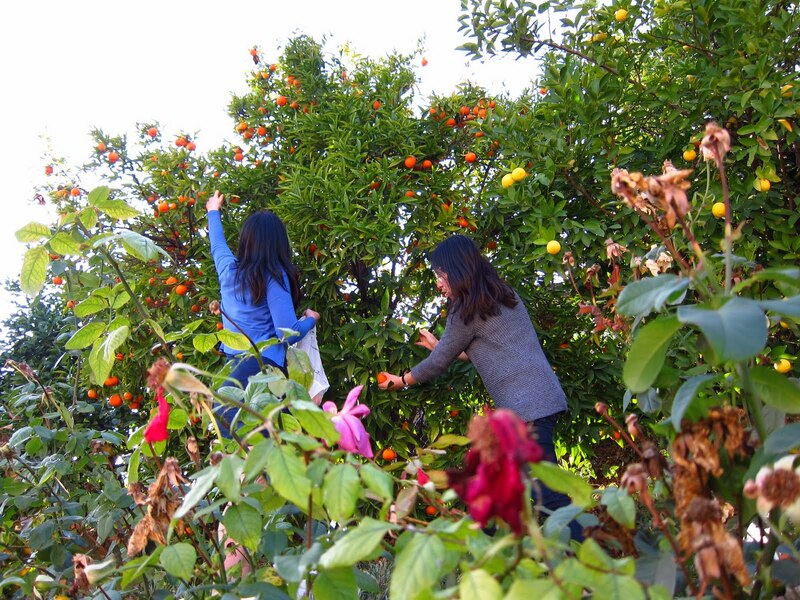 Look at the beautiful dark orange coloring... lovely. 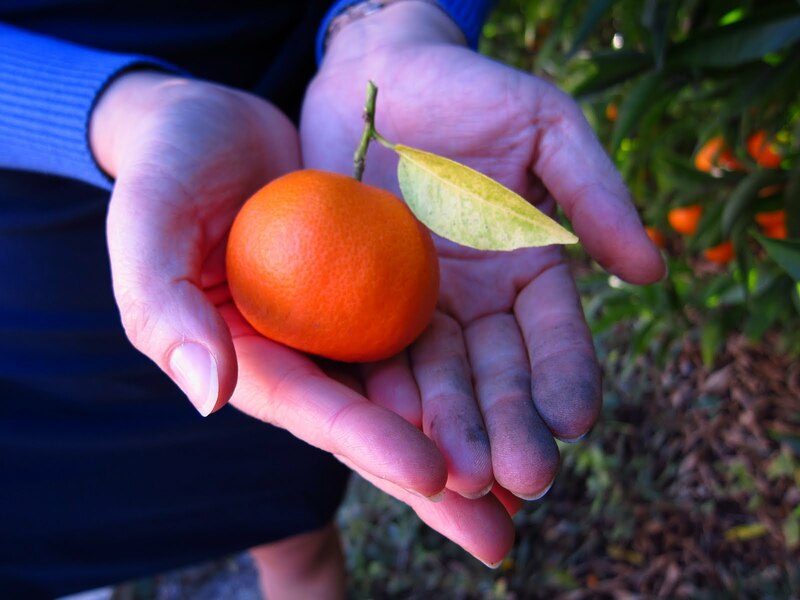 Sometimes it's nice to get one's hands a little dirty with soil from mother earth. 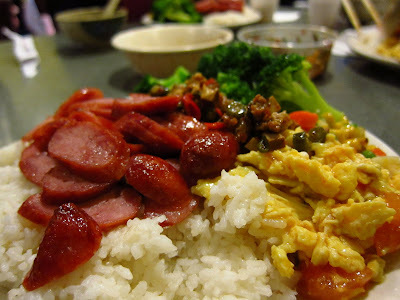 To round out the day, we went to Sin Ba La for some Taiwanese sausages... Sin Ba La is uber cool. 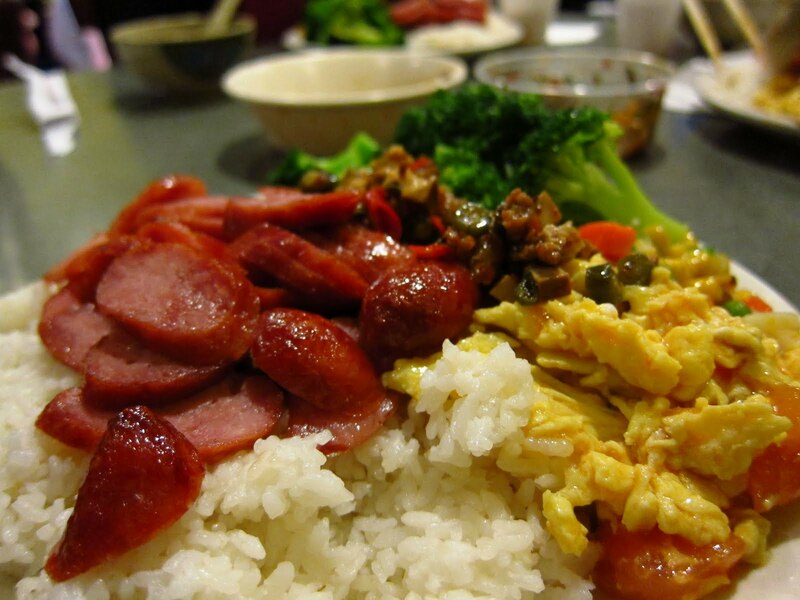 The service is typical Taiwanese, warm and caring. F had a cough, so when we were ordering drinks, they made sure she got a warm one that was good for curing coughs. Super nice. Yes it was my first time at Hsi Lai Temple... pretty cool.